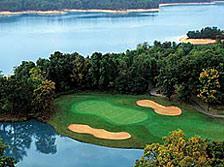 The Golf Course at Eagle Creek is a premier public golf course located in Eagle Creek State Park in Findlay, Illinois. 217-756-5550. Findlay Marina is located at the heart of Central Illinois’ Lake Shelbyville, which features over 11,000 acres of water and 172 miles of shoreline. The lake is a perfect host for a great variety of activities including boating, fishing, hiking, and camping. Findlay Marina is only five minutes away from National Golf Course at Eagle Creek and 30 minutes away from Decatur, Mattoon, and I-57; Champaign and Springfield are only 1 hour away. 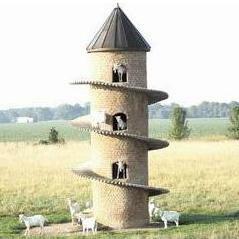 Currently the tallest goat tower in the world. Built in the 1990s it is modeled after a tower in South Africa. It is visible from the Wolf Creek State Park road on the east side of Lake Shelbyville between the towns of Findlay and Windsor. 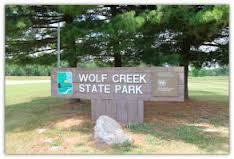 In east central Illinois-just minutes from Springfield, Decatur, Champaign, Effingham and surrounding communities – the Wolf Creek/Eagle Creek sites, facing each other across the central portion of Lake Shelbyville, provide the perfect setting for outdoor recreation and natural relaxation for a day, a weekend, or even longer.Eight miles northwest of Windsor, the sites encompass 11,100 acres of water, 250 miles of shoreline and large tracts of carefully maintained indigenous woodlands ideal for camping, horseback riding, snowmobiling, boat fishing, water skiing, pontoon boating, windsurfing or just plain bobbing and drifting on the glittering expanse of the lake itself. 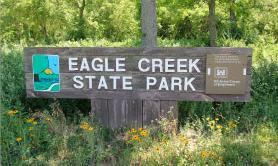 Located on Route 128 north of the Findlay blacktop, “The Margaret Guzy Pothole Wetlands Land and Water Reserve is a 159-acre site owned by the Illinois Department of Natural Resources (IDNR). The reserve is open to the public. The site has a small wildlife viewing platform, but no official trails. It is located about three miles northwest of Findley in Shelby County along Illinois Route 128. Margaret Guzy Pothole WetlandsLand and Water Reserve was willed to the IDNR by Margaret Guzy in 1994 so that it could be protected as a wildlife sanctuary. Previously in agricultural production, the reserve now supports a reconstructed wetland complex with six shallow-water wetlands and prairie.” This information was posted by the Illinois Nature Preserves Commission.